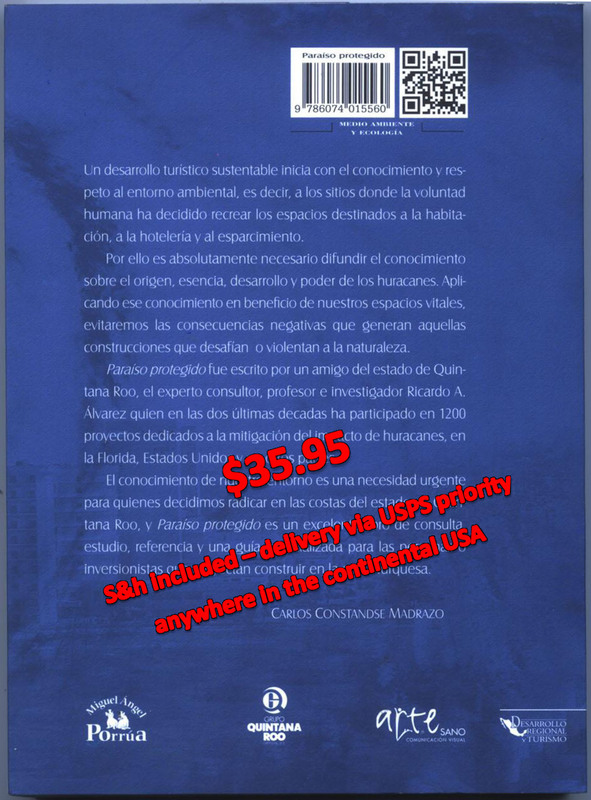 NEW BOOK: “PARAISO PROTEGIDO – Hacia una cultura de mitigacion” Is ready for shipment! 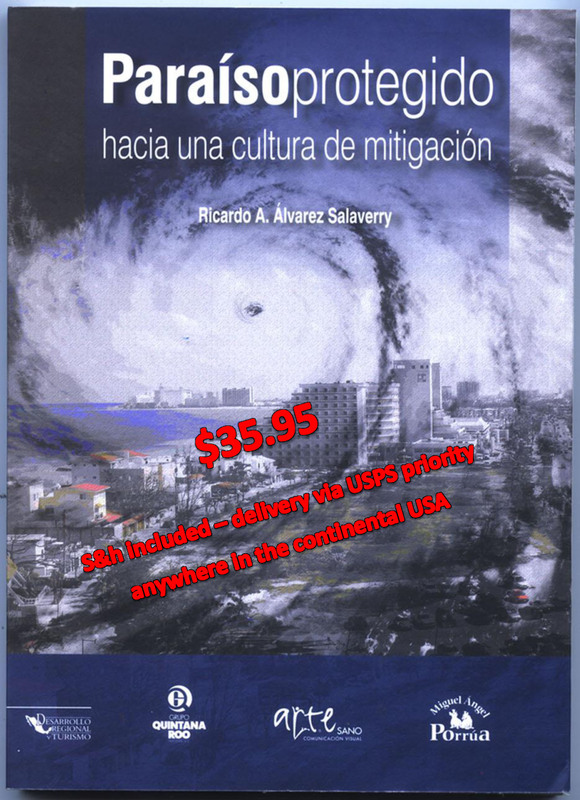 My just published book PARAISO PROTEGIDO: Hacia una cultura de mitigacion [in Spanish] is ready for shipment. The price of the book, including shipping and handling, is $35.95 delivered anywhere in the continental USA via USPS priority service in a padded protective envelope. When ordering please provide us with your full name and complete mailing address, as well as a telephone number and email address so that we may contact you regarding your order, and to confirm shipment. As has been previously indicated on this site, the English version of this book is in progress and it is expected to be available in the summer of 2012.